This Sunday is Father’s Day and a reader asked that I list a few favourite gift ideas. Of course, the traditional gift is a tie. The one above was a gift from the Caribbean-inspired Mrs. E. . It took me a couple of years to figure out how to work it into my wardrobe, but I like the 40’s flavour that it lends a chalkstriped suit and tattersall shirt. It helped that Ralph Lauren was showing this sort of thing on the runways this year, I can’t claim the inspiration was mine. Now that I have the white linen suit, the companion yellow version will go to the beach with us for our dinner out. Ties, can be tough. 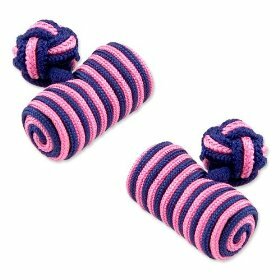 A child, with little or no budget, might opt for some colourful silk knot cufflinks. In general, it is best to stick to things that he can enjoy while pursuing his hobbies. Although, if you have the means, two of the better gifts of which I have heard were a vintage convertible MG (I like the MGA pictured below courtesy of MGCars.Org.UK) and a Panerai watch. Which brings up a point. Not to sound too marketing oriented but, while gifts are fine, it is experiences that will be remembered. A cookout, a sail, a ride to the mountains or the beach would be a good start. Pack a picnic and a t-ball set, or set the hammock in the shade, hand Dad a beer and a straw hat and let the kids run through the sprinklers. Take a lot of pictures. 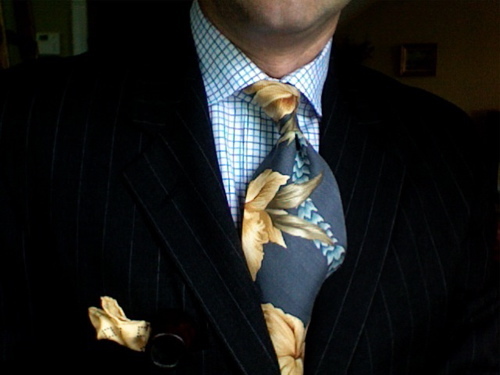 This entry was posted in Elegantology and tagged Elegantology, gifts, resources. Bookmark the permalink. I agree about the experiences. I arranged for one of my nieces to have knitting lessons last year. It wasn’t hugely expensive, but it did require me to collect her, take her to the lessons and deliver her back home. But it will be something she’ll always remember – both the skill of knitting, and the time we spent together. 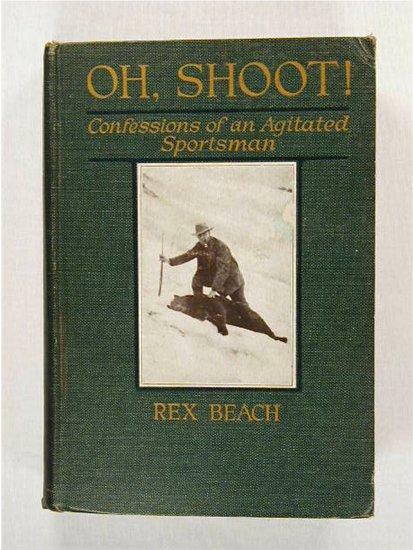 For a book, I recommend Robert Ruark’s compiled collection of short stories, “The Old Man and the Boy,” recounting the author’s childhood outdoor experiences shared with, and lessons learned from, his grandfather, set in “down east” NC in the 1930’s. My grandfather would take us on a spin in his enormous car and he kept “Wrigley’s Gum” in the glove compartment and gave us each a stick. We had to give it to him once the ride was complete. I shall never forget the smell of his car or his hand outstretched to collect the gum. I just had a stick yesterday in my car from the glove compartment wishing his hand was there to take the gum. Not to worry, I deposited into a garbage. Lovely list and inspiration. BTW: the blog banner looks fabulous. Thank you Style Court, on both counts. Hello Mrs. PvE, that is a lovely story. My grandfather was a State Trooper (the 4th in MD.) During my stay with my grandparents (Dad went to Vietnam), he would sometimes take me for a ride in the patrol car and let me pull over my grandmother in town… a little boy’s dream. Hi! I’m new here. My husband is very hard to buy for as he is an elegant “has everything” type. 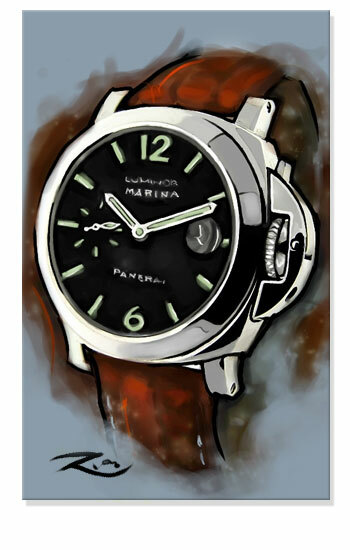 I’ve actually given him a Rolex for Christmas before, speaking of nice watches. His birthday is tomorrow and I’m giving him an experience. I’ve chartered a sailboat for a sunset sail in Newport, Rhode Island. We live in Nashville but are traveling to Boston next week, so I have arranged a day trip and a sail. I’m very excited to have something I think he’ll love. He’s so hard to buy for! For Father’s Day, I’m still stumped. A man of his word. Thank you for the Father’s Day inspiration! It proved most helpful as I snagged the one copy of Ruark’s book at the store today & headed to the P.O. It will be the perfect something for my father-in-law from his grands. And time is precisely what we’re giving the man of the house this year. A little trip to visit my parents will give him ample time to do as he wishes. Goodness knows he deserves it. I, of course, will love being with my dad for the day. I’m pretty sure he has a copy of “Hop on Pop” that I “made” for him one year. Is red marker on a Big Chief Tablet paper plagiarism? His gift this year will be time with his grands. And me letting him cook the steaks. Hello Amy and thanks for stopping by. Your sail sounds fantastic; a fine idea. I know that you will come up with something equally wonderful for Father’s Day. If it’s in the budget go bespoke… even a Leica digital camera with custom leather and engraving. 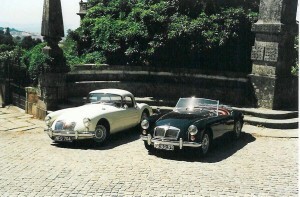 Or, sticking with experiences, hire a car and driver and head out for the evening sometime. Just thoughts. Thank you MC. I ‘m glad to see that you took Al’s advice. It is a fine book. I’ve given out a couple of copies myself. As long as you’re not distributing your version of “Hop…” I think it’s safe to say that as it is highly stylized the good Dr.’s estate won’t be contacting you. Hello All, for those of you still following the comments I thought I’d add a thought sparked by katiedid on today’s post. What a great gift would be an iPod compatible stereo in the car… figure < USD$300. Since 1872, Hardy has been designing and developing some of the world’s finest fishing tackle at its headquarters in Alnwick, England. Hardy is the only angling manufacturer in England to hold The Prince of Wales’ Warrant. It is allowed to display the Royal Arms together with the words ‘By Appointment’ on its stationery, buildings, vehicles, advertising and packaging. I believe that qualifies as elegant!